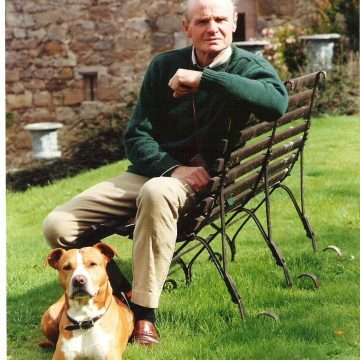 Sir Humphry Wakefield’s family have lived on the same lands in the Lake District for 400 years, just half the length of time the Greys have lived at Chillingham and their other surrounding castles. The Hon. Lady Wakefield is daughter of the former Lady Mary Grey from nearby Howick Hall, and from the historic Chillingham family line. The Hon. Lady Wakefield’s father, Lord Howick, was a Knight of the Garter, a one-time Governor of the former Rhodesia, of the South African protectorates and, finally, of the then Mau-Mau stricken Kenya. Sir Humphry, educated at Gordonstoun and Cambridge University, was a Captain in the 10th Royal Hussars. He rebuilt another family castle in Ireland, Lough Cutra Castle, Co. Galway. A lifelong horseman, he has lived a life of travel, adventure and the Arts. He is President of the Northumbrian Mountain Rescue teams, of the distinguished Northumbrian Avison Ensemble, and of other county charitable concerns. He is Chairman of the international Wilderness Foundation and Director of the Tree of Life Foundation. He is a Fellow of the prestigious American Morgan Library and of the British Royal Geographical Society. He has been described as a “Worker of Miracles” by the Daily Telegraph and his restorations have won many awards. Sir Humphry and the Hon. Lady Wakefield have two sons and a daughter who are frequent visitors, along with their many friends. The eldest son Maximilian, an entrepreneur and racing driver, served as a Captain in the Hussars during the first Gulf War. Daughter Mary, a musician and painter, is also Assistant Editor of The Spectator, and younger son Jack is an art critic and dealer.